Both physical training and understanding physics is important for modern man. How can we rise interest for physics (science) based on physical experiences (sport)? In physical activity, we normally have a few winners and many losers. Understanding physics is not based on competition that generates losers, and it may therefore be lasting positive activity for everybody. 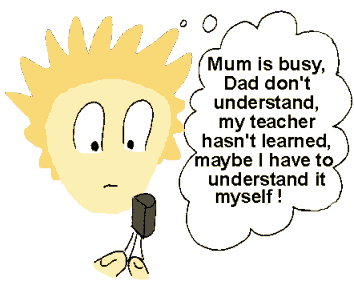 Managing and understanding is a basic condition for enjoying different activities. Football have for example become a popular hobby and big business for many people. A main reason for that is that someone have succeeded in making football a common activity i school-years when children are formed and the fundament for their later abilities are laid. Because just a few people can make a living out of football, the big majority of people will end as passive onlooker without any possibility to experience a growth in managing and understanding. In sport, only few people can win and the rest become a sort of losers. Therefore sport have problems to keep masses active when they grow old. In physics we usually have another history. Physics can be defined in different ways, but her we will use the broad definition which says that physics is about understanding basic in nature and technology and using this knowledge to get a better living by taking control of our environment in stead of leting the environment control us. For different reasons we have not succeeded to make physics a common activity in our western schools or our spare time. 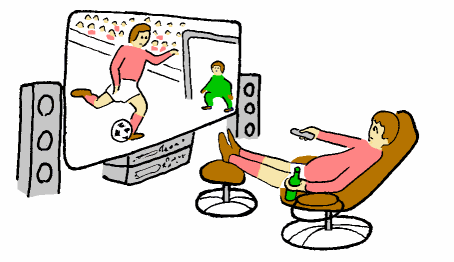 Modern people spends much time using computer, mobile telephone and looking on television, but using technology is not the same as understand it. Modern technology represents a form of duality. The main reason for using it is that it can spread different cultural experiences, from virtual experiences through computer games or music experiences (electronics) to an easier way to move to new places and experience the real thing (transport). On the other hand, it is mainly a sort of physical equipment which have a cost and may fail. It is the latter physical property which we will concentrate on here. A mobile phone can make communication easier if it works. But technology may also be a lasting interest and activity which may help us control our environment in stead of being controlled by it. In short we can say that the main reason for using modern technology is to increase our cultural experiences and the more we use it, the more we get depended on it. In a way we can say that new technology make us more dependent on other people and less free to manipulate our own environment. The reason is a growing gap between our own knowledge and ability to fix tings or get the job done, if our technological equipments fails. Many so called modern people, have a sort of unwell feeling among all the new technology which we have put around us. The main reason for this may be a growing gap between common understanding and the demands connected to moderne technology. The feeling of managing and understanding is often replaced with "blind" following of recipes and procedures with no possibility to be creative or fixing problems themselves. In later years there have been a growing demand for a better physics and technological education in western schools that can helps people manage the modern environment and technology. Another reason is the reduction of industry in many western countries. 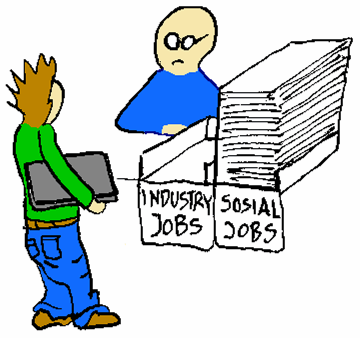 Economical welfare is depended on technological industry. If the next generation in our western countries don't chose education in physics and technology because they lack a interest and basic skills from public school, we may experience that we gets much less money for living in the years to come because the industry and money have been concentrated other places in the world. If you are rich, it may be a good ting to try a periode with less money, but a drastic fall in basic knowledge in physics and technology would not be a good thing for our country. Knowledge is a fundamental condition for moderne industry and welfare. Didn't that qualify me for getting a job in the industry that produce modern technology ! ?" A solution to the problem in Norway, which has been proposed from some "experts", is to use our money from selling oil to put more computers into public schools. That may be a good idea if we want to get our young Norwegians hooked on computers and the different things they can do (computer games, passive listening to music and other tings). But there is, as long as I know, no evidence that shows that real and useful knowledge in what we call new technology, will grow from just using computers. On the other hand, we have got some experiences that shows that extensive use of computers have the result that people get hocked to the computer, became depended on those that produce them, and become passive in many other era. The point here is that just using a computer, may give some experiences that help us clicking on the right buttons, but it do not give a knowledge that helps us to be independent of others. For people that just uses computers, computers will be a sort of "black box" that can be useful in different aspects, but it is naive to belive that we will rise our computer knowledge if every child in public school get its own computer. 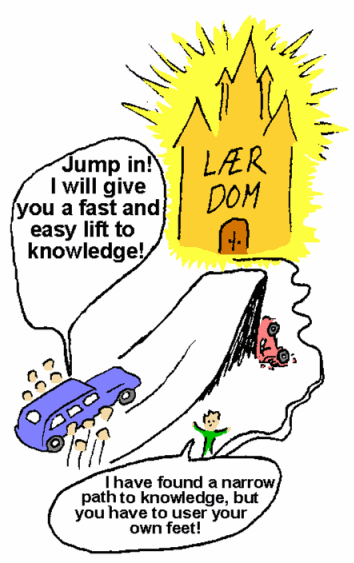 (Lærdom means learning, and the dom means cathedral in Norwegian) The main point here is that there are no easy road to knowledge, but everyone may reach knowledge if they chose the right track. Computers is useful in different era and to take them out of public schools is not a good alternative either. The point here is that we have to teach our young people new technology and the basic behind it (physics) if they shall be independent and manage to control the new technology in stead og the new technology controlling them. How can that happen? Experiences from for example football shows that we have to start early. Waiting till the children have got an intellectual fundament or a basic understanding is the same as let the children leave on another train with a one way ticked and interests and knowledge in other subjects. It is in the first years that fundamental interests and knowledge are created. Other lessons we can learn from football and other physical activities that collects many children, is that we have to organise something! It does not happen just by itself. There have to be instructors that master the subject. It is also important that children is active themselves and not passive onlookers. An important point which may be the main reason for the problems we have experienced in science and technology, is that there have to be a sort of slow progress. It is important that children get a feeling of succeeding and it is therefore important that the activities are not too easy og too hard. In both cases it is likely that children will lost interest. The main question her is then: Is it possible to make a curriculum that both keeps the interest of the children and also gives useful knowledge connected to modern technology? The transistor is a basic component in modern technology that is easy to understand and easy to use - for those that get the right explanation and the right activities. I have for some years developed and tested some teaching materials which I find promising. It is build on two basic principle: 1)Learning by doing and 2)a new and better explanation model for the fundamental processes that we find in different electronic equipments. The last moment have resulted in some resistance from established communities that think that moderne physics (quantum mechanics and relativity) is the one and only model that may be used to explain nature. Therefore I have got som problems with publishing these things through the normal publishing channels in Norway. That is one rason for this presentation in English which I have planned to put on a web-site. Another basic idea behind the teaching material is that it shall be inexpensive so that everyone, also public schools can afford to use it. It is not possible to learn about modern technology without using technological instruments for making and measuring those processes that we want to study. All technological equipments have a cost, but there are much to gain, both economical and pedagogical, by reusing components from warned out electronic equipment. Older computers and measuring instruments are not so integrated as newer equipments and that is also an advantage when the main goal is to learn and not to get the best measuring results. It is also a basic idea that knowledge should be free for everyone that wants to learn. One way to obtain that goal is to distribute instructions and explanations in an open medium as internet without demanding other rights for the author than the general copyright-agreements that we finds in the laws in our western countries. To keep valuable knowledge inside different organisations or companies may be a way to became rich for some people, but I don't think that it is a good ting for people in general. Democracy is build on equality and some common basic knowledge for all. A world where the people that have money also controls knowledge, is a problem for our community.